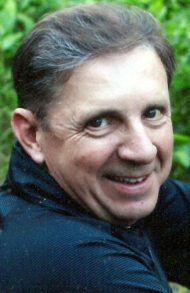 Thomas C. Hertzog, 68, of Lebanon, PA, passed away on January 13, 2019. Born in Mount Carmel, PA, he was the son of Dorothy (Nadzon) Hertzog and the late Bill Hertzog. Tom was the loving husband of 47 years to Christine (Zealberg) Hertzog. He graduated from Mount Carmel High School in 1968 and Wayland Baptist College with a Bachelor’s of Science in Business Administration. Tom retired as a US Air Force Chief Master Sergeant with 27 years of service. Tom and Chris loved to travel together to all 50 States, Europe, Mexico and Canada with family and close friends. His Air Force assignment took him to Anchorage, Alaska where he lived for over 34 years. This allowed him to explore the beauty of the great outdoors. He was an avid fisherman whose favorite fishing spot was “The Kenai River” and enjoyed sharing that passion with his family and friends. Tom also liked hunting for big game, camping and golfing. He also participated in many bowling tournaments through the United States Bowling Congress. In addition to his wife, Chris, Tom is survived by his children: Bryant Hertzog, husband of Julie, of Washington, Shane Hertzog of Alaska and Mindy Roderick, wife of Kenny, of Alaska; 5 grandchildren: Sydnee, Brady, Hannah, Kenzlee and Hayden; and siblings: Robert Hertzog and Donna Yucha and many nieces, nephews and military “family”. He was a loving husband, proud father and grandfather, devoted friend and a proud, loyal American. A viewing will be from 3-5 PM with a Funeral Service to begin at 5 PM on Friday, January 18, 2019 at the Charles F. Snyder, Jr. Funeral Home & Crematory, 3110 Lititz Pike, Lititz, PA 17543. Tom will be laid to rest at Indiantown Gap National Cemetery. In lieu of flowers, contributions in Tom’s memory may be made to the DAV: Disabled American Veterans at www.dav.org and The Michael J. Fox Foundation For Parkinson’s Research at www.michaeljfox.org. My brother, John, just told me about Tom. I’m so sorry…..